Can I Get Sick From a Tortoise? Tortoises make wonderful pets, but be warned -- like all other reptiles, they can carry salmonella, a bacteria that can cause temporary infection in humans. Not everyone who's exposed to tortoises will get sick from salmonella, but infection is possible. Preventive measures are your best defense against illness. According to the FDA, nearly all reptiles and amphibians, including tortoises, are contaminated with salmonella bacteria. 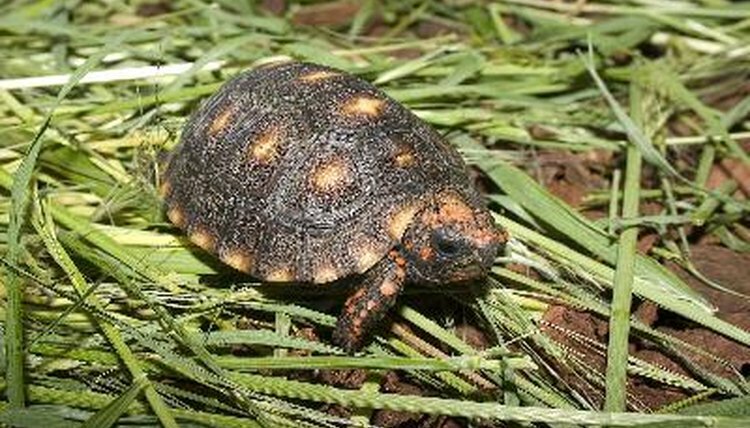 Baby turtles and tortoises are especially prone to carrying the bacteria. Salmonella can live on tortoises' skin and shells as well as in their digestive systems. Handling a tortoise can transmit salmonella; you can inadvertently spread the bacteria to yourself, other people and any surface you touch afterward before washing your hands. You can pick up an infection from your tortoise's habitat, as salmonella can live on hard surfaces for several days. The FDA and CDC advise that pregnant women, children under 5 years old, the elderly and people with weakened immune systems are at greatest risk of contracting salmonella and are strongly advised not to handle tortoises. The best way to avoid getting salmonella from a tortoise is to be very clean and careful. It may sound strange, but treat handling your tortoise and his habitat the same way you would raw meat -- always wash your hands after handling and clean any surfaces that your tortoise touches. If your tortoise is allowed to roam outside his terrarium, disinfect those areas after he's done playing. The FDA recommends washing items from your tortoise's habitat somewhere other than the kitchen sink (where cross-contamination can happen) and to disinfect the sink or tub you used for cleaning when you're done. Bathe your tortoise in a designated plastic tub and disinfect it after use. Even if you take the proper precautions to avoid infection, you or a loved one may still get sick from handling your tortoise. People infected with salmonella may suffer from diarrhea, fever, stomach pain, nausea, vomiting and headache. It can take six to 72 hours after contact with the bacteria for symptoms to develop. An infection usually lasts only two to seven days; if illness goes on longer or symptoms are severe, you should seek medical help immediately. Most people's immune systems can fight off the disease on their own, but in some cases hospitalization is necessary, especially for people at higher risk of infection. Always seek professional medical advice if you think you or a loved one has contracted salmonella. For healthy people, the immune system usually fights off the disease in five days to a week with no treatment other than additional fluids to counterbalance diarrhea or vomiting. Severe diarrhea or vomiting is sometimes cause for hospitalization for intravenous fluids. Antibiotics are not generally prescribed for otherwise healthy individuals unless the infection moves to the intestines, because some strains of salmonella have become resistant to antibiotics. Can Ferrets Get Humans Sick?